The Marine Corps released the identities of the 15 Marines and one sailor killed in this week’s KC-130T crash in Mississippi. The 16 servicemen come from reserve unit Marine Air Refueler Transport Squadron (VMGR) 452 based at Stewart Air National Guard Base in Newburgh, N.Y., and 2nd Raider Battalion based at Marine Corps Base Camp Lejeune, N.C. They range from nearly 23 years of experience in the Marine Corps to less than two; have deployed to the Middle East, Africa and the Pacific; and come from communities all throughout the country. 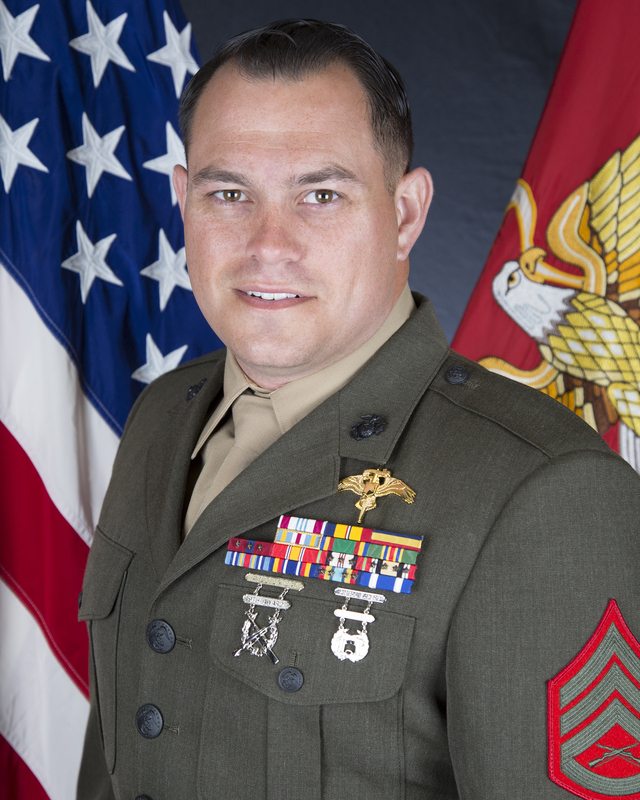 Maj. Caine Goyette served as a KC-130 aircraft commander with VMGR 452, which falls under the Marine Aircraft Group 49 in the 4th Marine Aircraft Wing, part of Marine Corps Forces Reserve. Goyette joined the Marine Corps on Dec. 5, 1994, and was promoted to major on Nov. 1, 2012. He deployed to Afghanistan twice as part of Operation Enduring Freedom, in September 2005 and in June 2014 as OEF was winding down. He also deployed to U.S. Africa Command as part of the Special Purpose Marine Air-Ground Task Force (MAGTF) 2012 (SPMAGTF-12), from December 2011 to April 2012 and also from June to July 2012. Goyette was an active duty Marine and had earned many awards, including: three Navy and Marine Corps Commendation Medals, two Navy and Marine Corps Achievement Medals, four Sea Service Deployment Ribbons, Global War on Terrorism Expeditionary Medal, Marine Corps Recruiting Ribbon, two Humanitarian Service Medals, Global War on Terrorism Service Medal, two National Defense Service Medals, Selected Marine Corps Reserve Medal, Navy Unit Commendation, Navy Meritorious Unit Commendation, Letter of Appreciation, and a Certificate of Commendation (Individual Award). Capt. Sean Elliott joined the Marine Corps on May 4, 2009 and was promoted to captain on Oct. 1, 2013. The KC-130 aircraft commander in VMGR-452 comes from Orange, Calif. He is an active duty Marine and deployed to the Western Pacific from August 2016 to February 2017. Elliott earned the Navy and Marine Corps Achievement Medal, two Sea Service Deployment Ribbons, Korean Defense Service Medal, two Global War on Terrorism Expeditionary Medals, Global War on Terrorism Service Medal National Defense Service Medal, and two Letters of Appreciation. Gunnery Sgt. Mark Hopkins joined the Marine Corps on Sept. 4, 2001 and was promoted to gunnery sergeant on May 1, 2014. The tactical systems operator and mission specialist in VMGR-452 is from Chesapeake, Va. He deployed in January 2005 in support of humanitarian operations under Operation Unified Assistance following the devastating December 2004 Indian Ocean tsunami. Hopkins also deployed as part of OEF from July to August 2001, August to September 2005 and from May to June 2014. The active duty Marine earned the Navy and Marine Corps Commendation Medal, two Navy and Marine Corps Achievement Medals, five Marine Corps Good Conduct Medals, Global War on Terrorism Expeditionary Medal, four Sea Service Deployment Ribbons, four Humanitarian Service Medals, Global War on Terrorism Service Medal, National Defense Service Medal, Navy Meritorious Unit Commendation, Joint Meritorious Unit Award, Letter of Appreciation and Certificate of Appreciation. Gunnery Sgt. 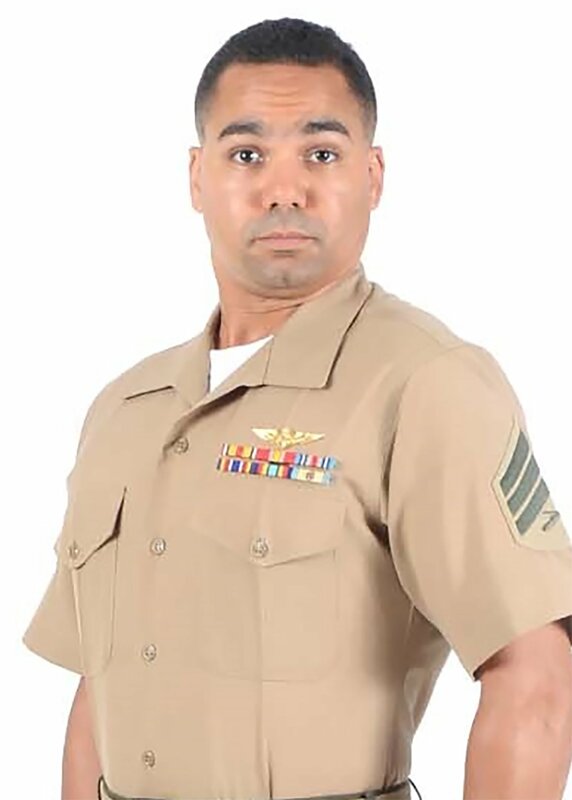 Brendan Johnson joined the Marine Corps on Sept. 26, 1994 and was promoted to gunnery sergeant on April 1, 2010. The fixed wing aircraft crew master in VMGR-452 comes from Chittenden, Vt. 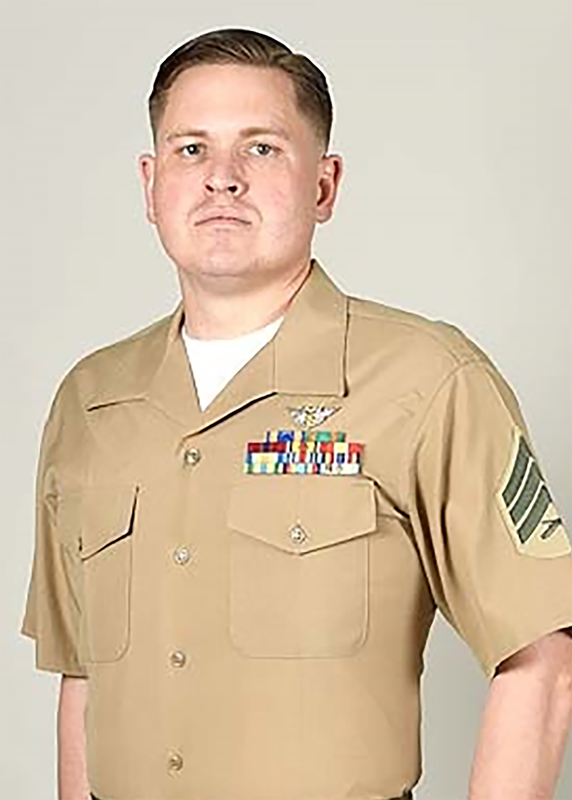 He deployed as part of Operation Enduring Freedom from July to November 2002 and in support of Operation Enduring Freedom and Operation Iraqi Freedom from May to July 2003. 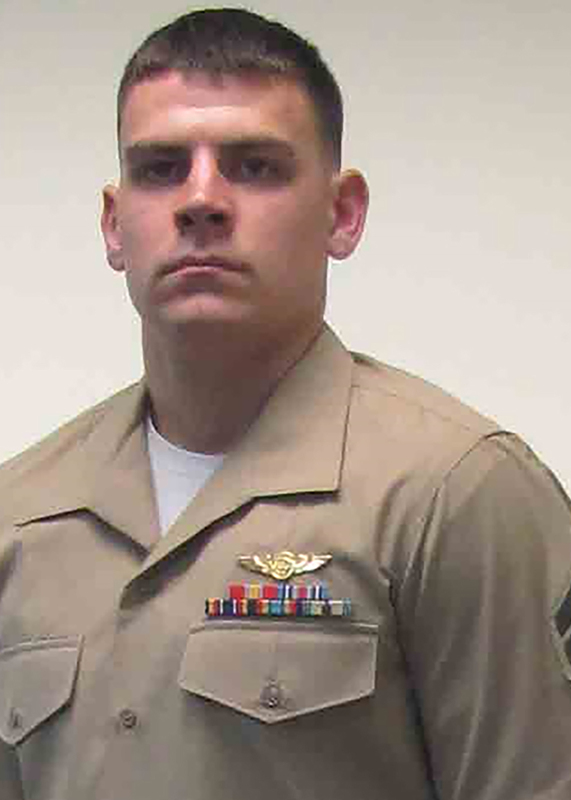 The active reserve Marine earned three Navy and Marine Corps Achievement Medals, Air Medal-Strike/Flight, four Marine Corps Good Conduct Medals, two Armed Forces Reserve Medals, three Selected Marine Corps Reserve Medals, two Sea Service Deployment Ribbons, Iraq Campaign Medal, Global War on Terrorism Expeditionary Medal, Global War on Terrorism Service Medal, two National Defense Service Medals, Armed Forces Service Medal, three Armed Forces Expeditionary Medals, two Navy Meritorious Unit Commendations, Certificate of Commendation (Individual Award) and five Letters of Appreciation. Staff Sgt. 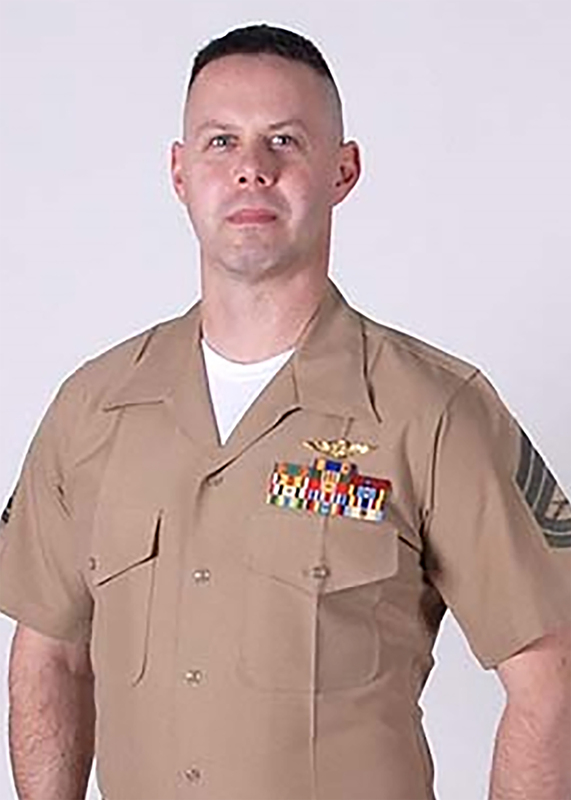 Joshua Snowden joined the Marine Corps on July 19, 2004 and was promoted to staff sergeant the day of the crash. The fixed wing aircraft crew master with VMGR-452 was from Dallas, Texas. He deployed in support of the OEF transition from June to August 2014 and as part of a Special Purpose MAGTF from October 2014 to January 2015. The active reserve Marine earned the Navy and Marine Corps Achievement Medal, Air Medal-Strike/Flight, Inherent Resolve Campaign Medal, Marine Corps Good Conduct Medal, Sea Service Deployment Ribbon, two Armed Forces Reserve Medals, Global War on Terrorism Expeditionary Medal, three Selected Marine Corps Reserve Medals, Global War on Terrorism Service Medal, National Defense Service Medal, Certificate of Commendation (Individual Award) and two Letters of Appreciation. Sgt. Julian Kevianne joined the Marine Corps on Dec. 1, 2009, and was promoted to sergeant on April 1, 2015. The fixed wing aircraft crew master with VMGR-452 was from Dallas. He deployed in support of OEF from November 2012 to March 2013. 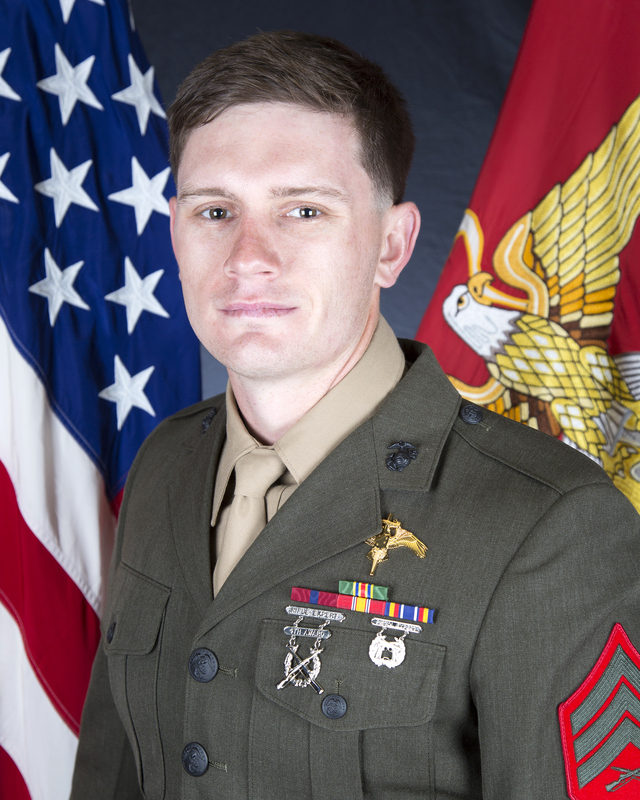 The active reserve Marine earned two Selected Marine Corps Reserve Medals, Sea Service Deployment Ribbon, Global War on Terrorism Expeditionary Medal, Armed Forces Reserve Medal, Global War on Terrorism Service Medal, National Defense Service Medal, six Letters of Appreciation, and a Certificate of Commendation (Individual Award). Sgt. 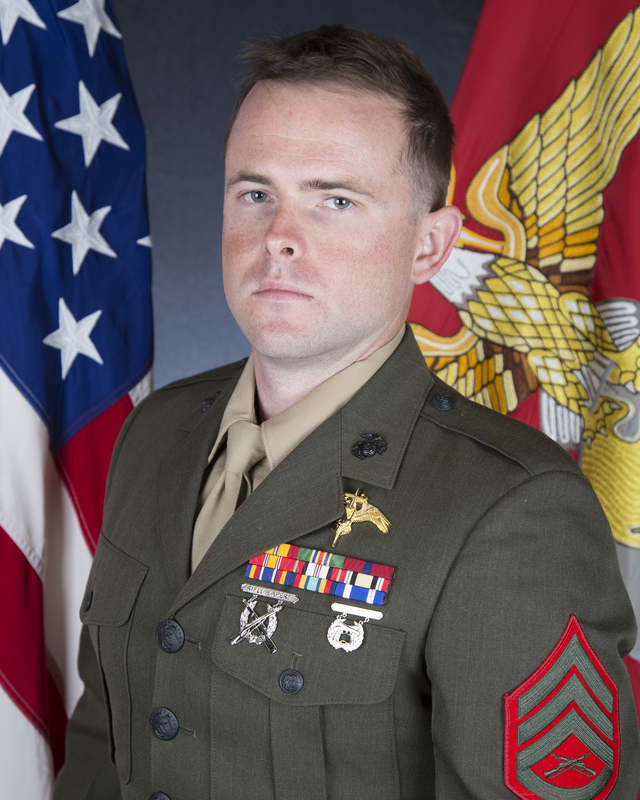 Owen Lennon joined the Marine Corps on Oct. 12, 2010, and was promoted to sergeant on Jan. 1, 2015. The fixed wing aircraft crew master in VMGR-452 was from Rockland, N.Y. He deployed in support of OEF from November 2012 to March 2013. The active reserve Marine earned two Navy and Marine Corps Achievement Medals, Marine Corps Good Conduct Medal Selected Marine Corps Reserve Medal, Sea Service Deployment Ribbon, Global War on Terrorism Expeditionary Medal, Global War on Terrorism Service Medal, Armed Forces Reserve Medal, National Defense Service Medal, Certificate of Commendation (Individual Award), two Meritorious Masts, three Letters of Appreciation and a Certificate of Appreciation. Cpl. 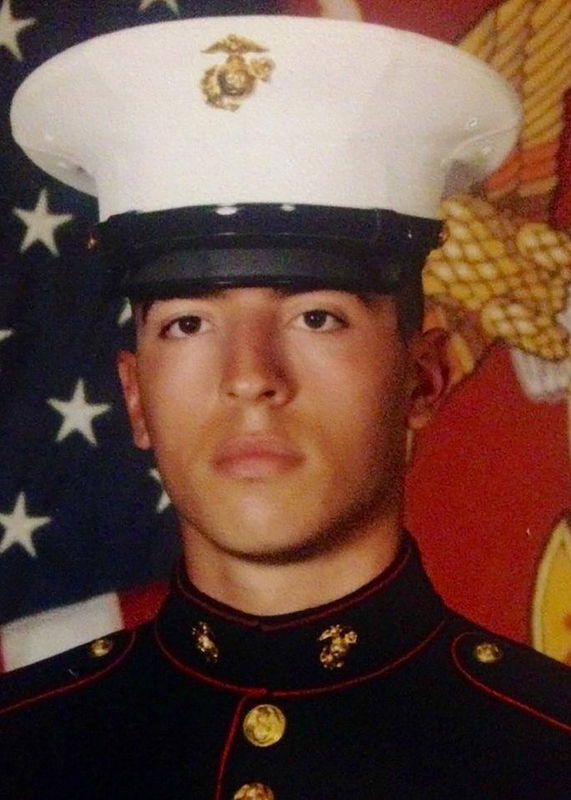 Daniel Baldassare joined the Marine Corps on Sept. 14, 2015, and was promoted to corporal on June 1, 2017. The fixed wing aircraft crew master was from Monmouth, N.J. The active duty Marine had not yet deployed overseas but had earned the Global War on Terrorism Service Medal and the National Defense Service Medal. Cpl. 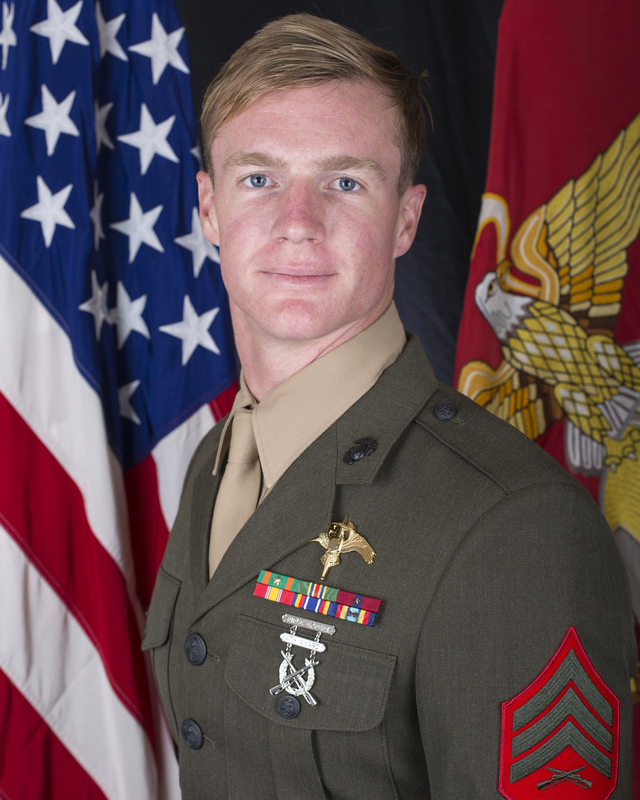 Collin Schaaff joined the Marine Corps on Aug. 26, 2013, and was promoted to corporal on Dec. 1, 2015. The aircraft ordnance technician with VMGR-452 was from Pierce, Wash. The active duty Marine had not yet deployed overseas but had earned the Marine Corps Good Conduct Medal, Global War on Terrorism Service Medal, National Defense Service Medal, two Letters of Appreciation and the Certificate of Commendation (Individual Award). Staff Sgt. Robert Cox joined the Marine Corps on July 23, 2007, and was promoted to staff sergeant on Oct. 1, 2016. The critical skills operator with 2nd Raider Battalion in U.S. Special Operations Command (SOCOM) was from Ventura, Calif. He deployed in support of Operation Iraqi Freedom from March to June 2009 and then from July 2009 to January 2010; in support of Operation Enduring Freedom from May to December 2011; and in support of Operation Inherent Resolve from January to July 2016. The active duty Marine earned two Navy and Marine Corps Achievement Medals, Combat Action Ribbon, Marine Corps Good Conduct Medal, Inherent Resolve Campaign Medal, three Sea Service Deployment Ribbons, two Afghanistan Campaign Medals, two Armed Forces Reserve Medals, Iraq Campaign Medal, Global War on Terrorism Service Medal, National Defense Service Medal, Navy Meritorious Unit Commendation, Navy Unit Commendation Medal, NATO Medal-ISAF Afghanistan, and a Letter of Appreciation. Staff Sgt. William Kundrat joined the Marine Corps on July 30, 2002, and was promoted to staff sergeant on Jan. 1, 2011. The critical skills operator with 2nd Raider Battalion was from Frederick, Md. He had deployed in support of OEF and OIF from March to June 2003; OIF from September 2005 to February 2006 and then again until April 2006; to Senegal from April to May 2010; and in support of OIR from December 2015 to June 2016. The active duty Marine earned the Defense Meritorious Service Medal, Combat Action Ribbon, four Sea Service Deployment Ribbons, four Marine Corps Good Conduct Medals, three Afghanistan Campaign Medals, five Iraq Campaign Medals, Global War on Terrorism Expeditionary Medal, Global War on Terrorism Service Medal, National Defense Service Medal, Joint Meritorious Unit Award, two Navy Meritorious Unit Commendation, Navy Unit Commendation Medal, Presidential Unit Citation-Navy, NATO Medal-ISAF Afghanistan, and two Certificates of Commendation (Individual Award). Sgt. Chad Jenson joined the Marine Corps on Sept. 13, 2010, and was promoted to sergeant on Oct. 1, 2014. The critical skills operator with 2nd Raider Battalion was from Los Angeles, Calif. 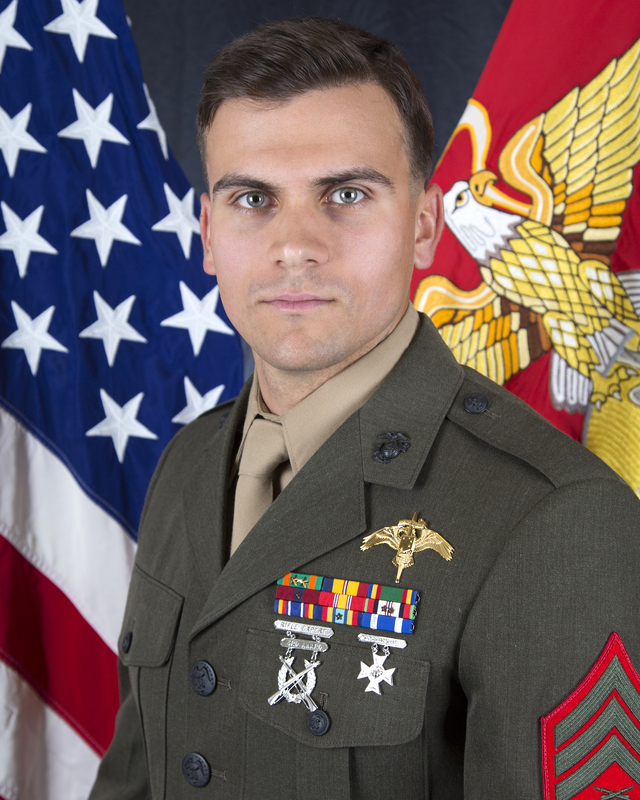 The active duty Marine had not yet deployed overseas but had earned the Marine Corps Good Conduct Medal, Global War on Terrorism Service Medal, National Defense Service Medal, Navy Meritorious Unit Commendation, two Certificates of Commendation (Individual Award), three Letters of Appreciation and two Meritorious Masts. Sgt. 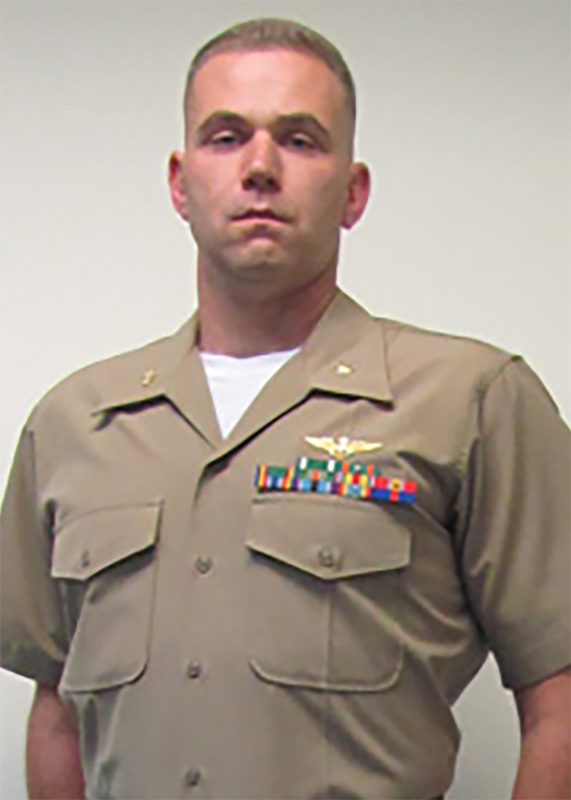 Joseph Murray joined the Marine Corps on Aug. 31, 2009, and was promoted to sergeant on Aug. 1, 2014. The critical skills operator with 2nd Raider Battalion was from Duval, Fla. He had deployed in support of OEF from September 2010 to March 2011 and from January to July 2012. 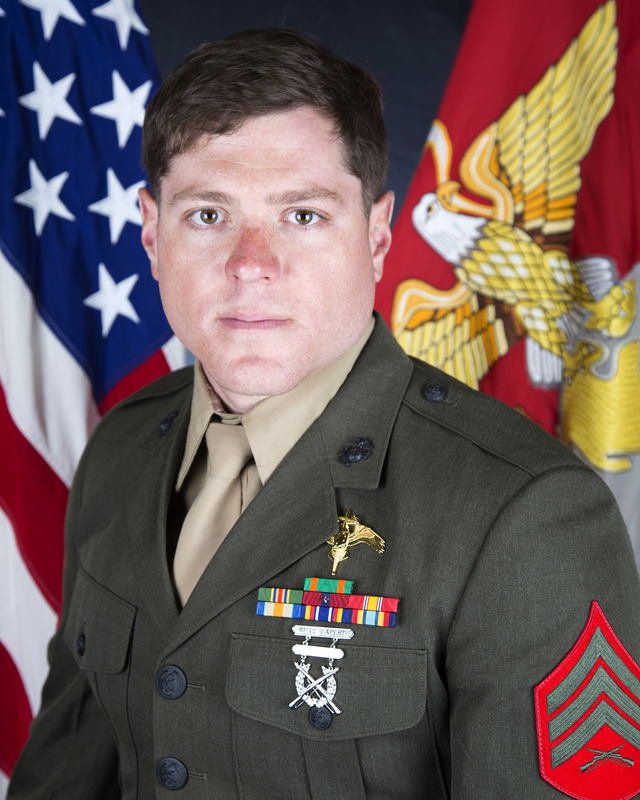 The active duty Marine earned three Navy and Marine Corps Achievement Medals, Combat Action Ribbon, two Marine Corps Good Conduct Medals, two Sea Service Deployment Ribbons, two Afghanistan Campaign Medals, Global War on Terrorism Service Medal, National Defense Service Medal, Navy Unit Commendation, NATO Medal-ISAF Afghanistan, Certificate of Commendation (Individual Award) and a Meritorious Mast. Sgt. 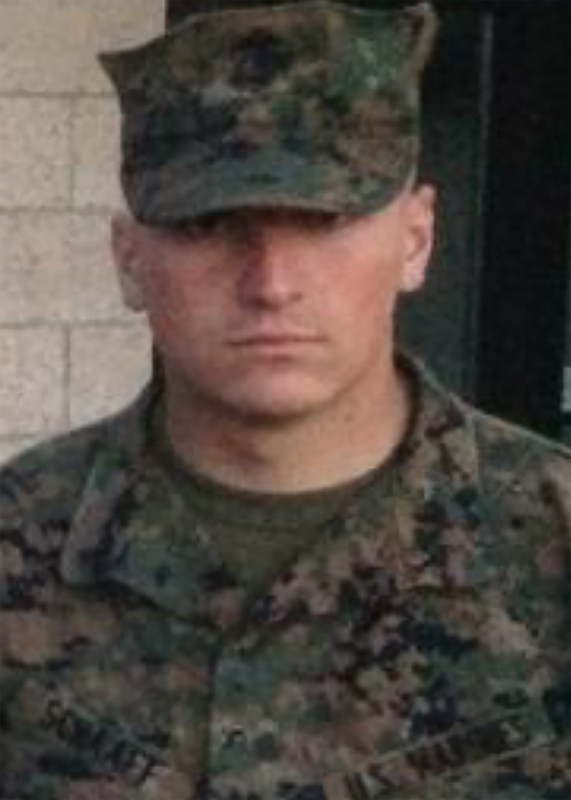 Dietrich Schmieman joined the Marine Corps on Sept. 20, 2010, and was promoted to sergeant on Jan. 1, 2014. The critical skills operator with 2nd Raider Battalion was from Benton, Wash. He deployed in support of OEF from September 2010 to March 2011 and from January to July 2012. 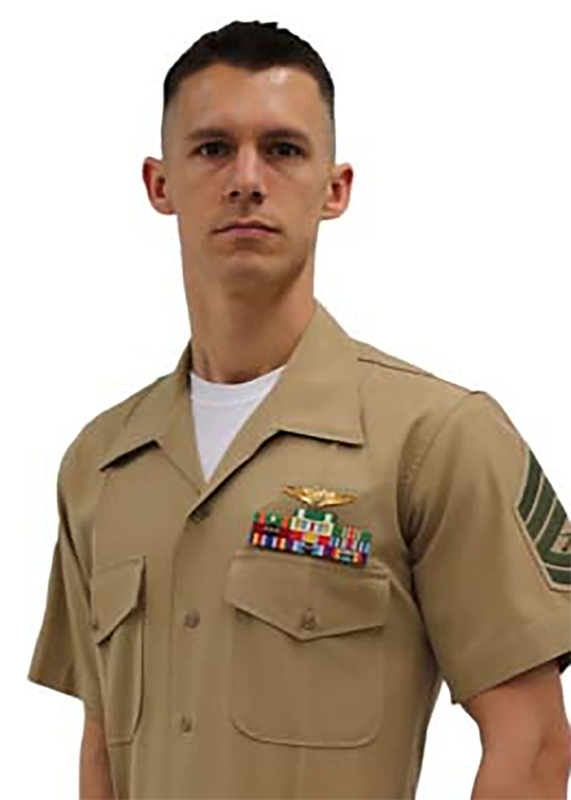 The active duty Marine earned two Navy and Marine Corps Achievement Medals, two Marine Corps Good Conduct Medals, three Sea Service Deployment Ribbons, Global War on Terrorism Service Medal, National Defense Service Medal, Navy Meritorious Unit Commendation, Certificate of Appreciation and three Letters of Appreciation. 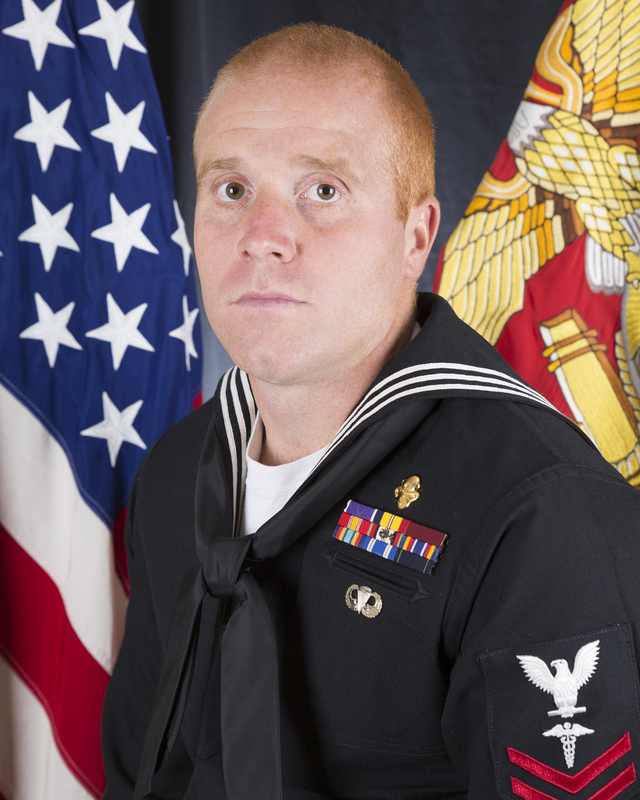 Petty Officer 2nd Class Ryan Lohrey joined the Navy on Sept. 26, 2007 and was promoted to petty officer second class on Dec. 16, 2012. The special amphibious reconnaissance corpsman with 2nd Raider Battalion was from Middletown, Ind. He had deployed in support of OEF from October 2010 to May 2011 and in support of OIR from July 2016 to January 2017. 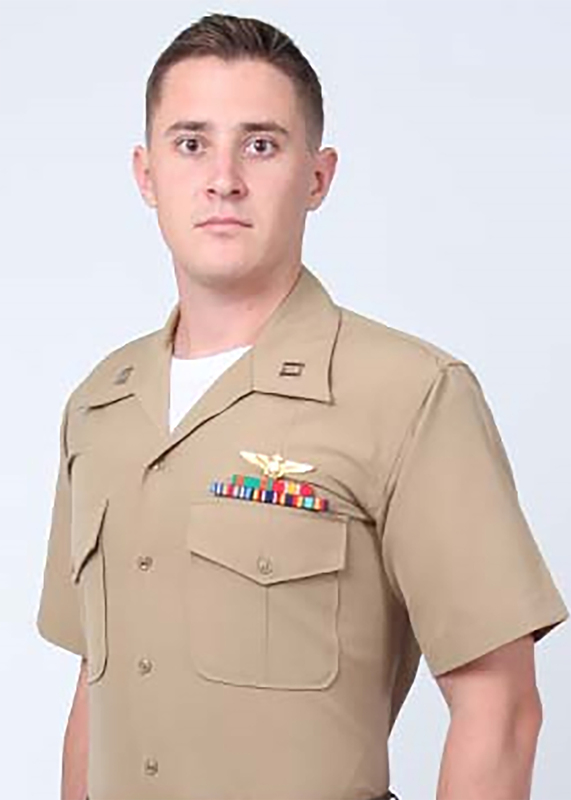 The corpsman earned the Purple Heart, two Combat Action Ribbons, three Good Conduct Medals, two Sea Service Deployment Ribbons, Afghanistan Campaign Medal, Inherent Resolve Campaign Medal, NATO Medal, Global War on Terrorism Service Medal, National Defense Service Medal, Navy Unit Commendation Ribbon, and Meritorious Unit Commendation Ribbon.